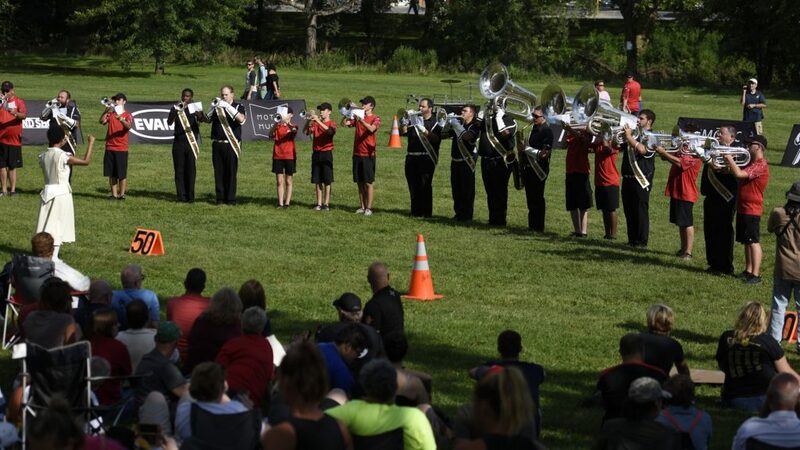 For the first time in the program’s five-year history, Drum Corps International’s SoundSport teams headed to Allentown, Pennsylvania with three ensembles taking center stage at Cedar Creek Park ahead of the second day of the DCI Eastern Classic. The picturesque setting in the park is one that SoundSport event organizers have been eyeing for some time. A popular spot each year during the DCI Eastern Classic for tailgaters and for corps warm-ups, hundreds of fans make their way through the park’s winding paths each summer to see their favorite corps in action. Kicking off about two hours before the competition got underway in J. Birney Crum Stadium, Saturday’s SoundSport showcase added a new level of entertainment for an always packed and passionate audience. One of SoundSport’s most well-traveled groups, Sonus Brass Theater also performed last Saturday in Georgia. Taking “Best of Show” honors with a gold rating from a three-judge panel, Sonus Brass Theater performed on Saturday in its second SoundSport event in as many weeks. Sonus’ production featured an array of up-tempo jazzy charts. The ensemble’s rating in Allentown improved from a silver rating it earned in Powder Springs, Georgia last Saturday, providing a sign of optimism as the Woodbridge, Virginia-based group gets ready to travel to Indianapolis for the SoundSport International Music and Food Festival on August 12. Pennsylvania’s own Mon Valley Express earned a bronze rating in its first SoundSport event of the summer, bringing its entertaining production titled “Out of Darkness” to life. 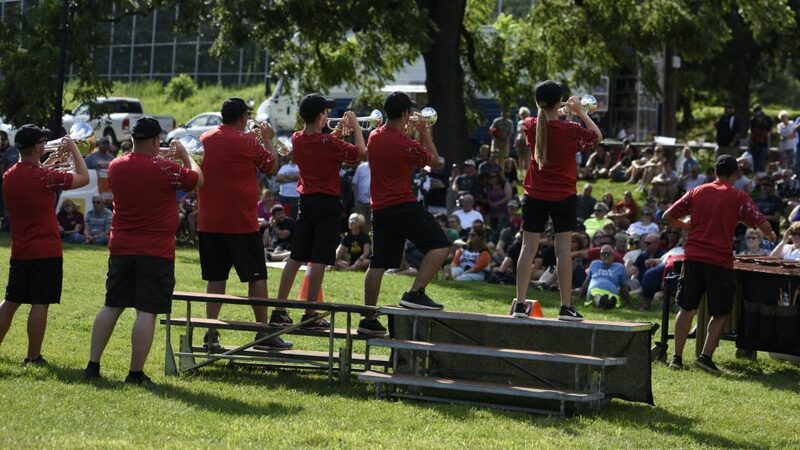 For Mon Valley Express, an in-state event at a historic drum corps shrine like Allentown made for the perfect first performance. The group, like Sonus, will travel to Indianapolis next week to take part in DCI World Championships festivities. Mon Valley Express and Sonus Brass Theater combine to perform the SoundSport anthem on Saturday. Closing out the afternoon’s performances with an encore, the Crossmen Alumni and Friends brought a familiar, local flavor to the sizable Allentown crowd. The last chance to experience SoundSport at a DCI Tour event this summer is fast approaching, with the free-of-charge SoundSport International Music and Food Festival set to take place next Saturday afternoon in Indianapolis’ Pan Am Plaza the morning and afternoon of the DCI World Championship Finals.